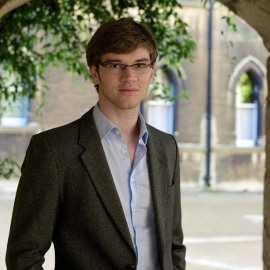 William MacAskill is an Associate Professor in Philosophy at Oxford University. He was educated at Cambridge, Princeton, and Oxford. He is one of the progenitors of the effective altruism movement: a growing global community of people using evidence and reason to promote the wellbeing of all, through effective charity and career choice. His book on the topic, Doing Good Better, was published by Penguin Random House in 2015 and reviewed favorably in The London Review of Books, The Times Literary Supplement, The Guardian and The New York Times. He is the cofounder of three non-profits based on effective altruist principles: Giving What We Can (2009), 80,000 Hours (2011) and the Centre for Effective Altruism (2012), two of which he took through the startup incubator Y Combinator. These organizations have collectively raised over $30 million for effective charities with a further $1.4 billion in lifetime pledged donations, and changed the career paths of thousands of people around the world. William has written over 30 popular articles on ethics and effective altruism for venues such as The New Yorker, The Guardian, The Independent, Time, The Atlantic, and The Washington Post. He has given dozens of public lectures at academic and corporate events, including the Oxford Union, London Intelligence Squared, and the Google Future Forum. He is regularly in the media, appearing in venues such as The Tim Ferriss Show, The Waking Up Podcast with Sam Harris, The Joe Rogan Experience, The Today Programme, and the BBC News at Ten, and has advised a range of external parties including Number 10 Downing Street and former Prime Minister Gordon Brown. His academic research focuses on how one ought to make decisions given moral uncertainty: he has published on this issue in Ethics, Mind, Nous, The Journal of Philosophy and has a forthcoming book on the topic with Oxford University Press. He is a Forbes 30 under 30 social entrepreneur and World Economic Forum Young Global Shaper. When hired by Oxford age 28, he became the youngest tenured philosophy professor in the world.